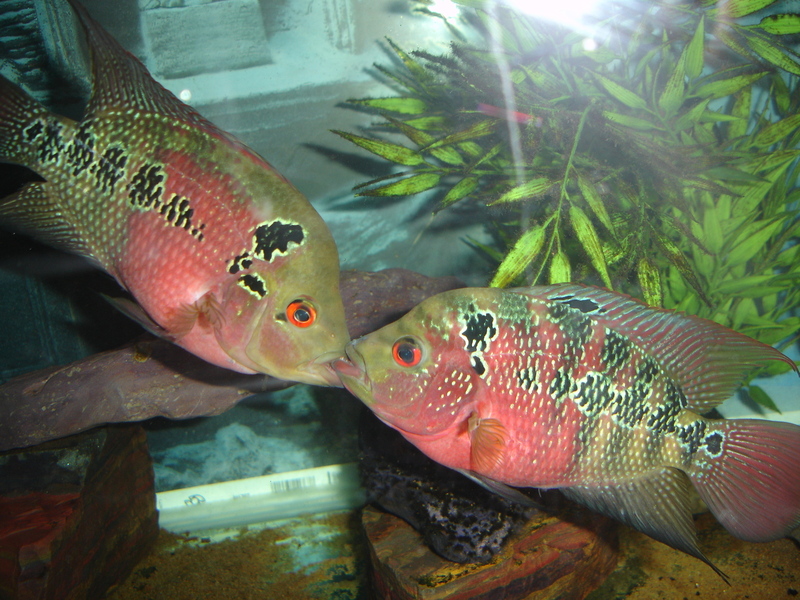 Male and Female Red Dragon Flowerhorn. The female is the one close to the bottom! nice fish u got there...is black spot on the dorsal fin ...-a confirmation as female flowerhorn...??? They willl kill each other.